Living in a house with a wood burning fireplace and spending cold winter evenings in woolen socks by the fire is amazing, romantic and seems like a movie scene. The only thing that makes us sad is that this wonderful pleasure is not available to everyone. 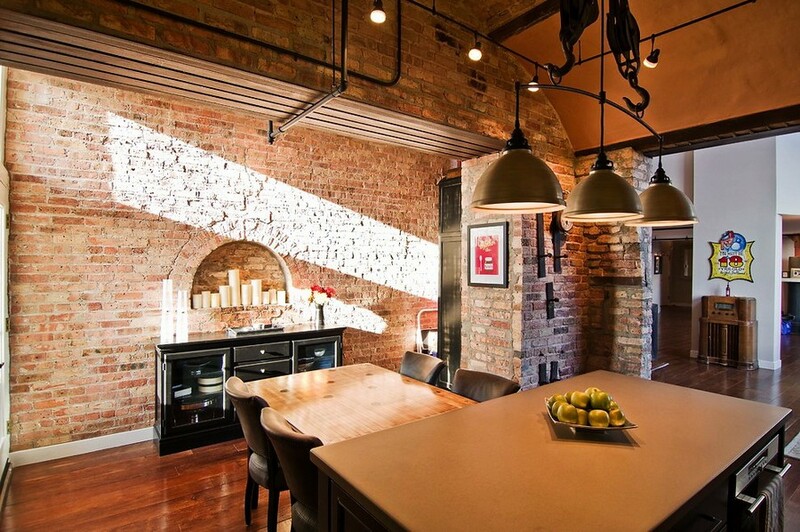 Most of us have to survive in urban apartments and try to create coziness by other means. And a faux fireplace is one of them. With it you neither need a chimney nor firewood. Of course, there will be no genuine fire, but there will hominess and joy for sure. 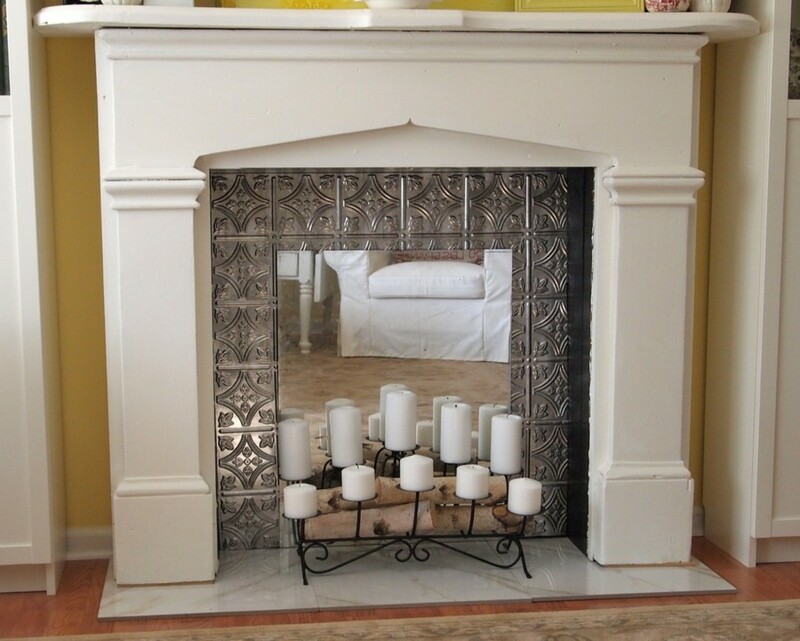 A faux fireplace is essentially a common fireplace surround. It can be purchased in a shop or show room or custom-made by a craftsman. 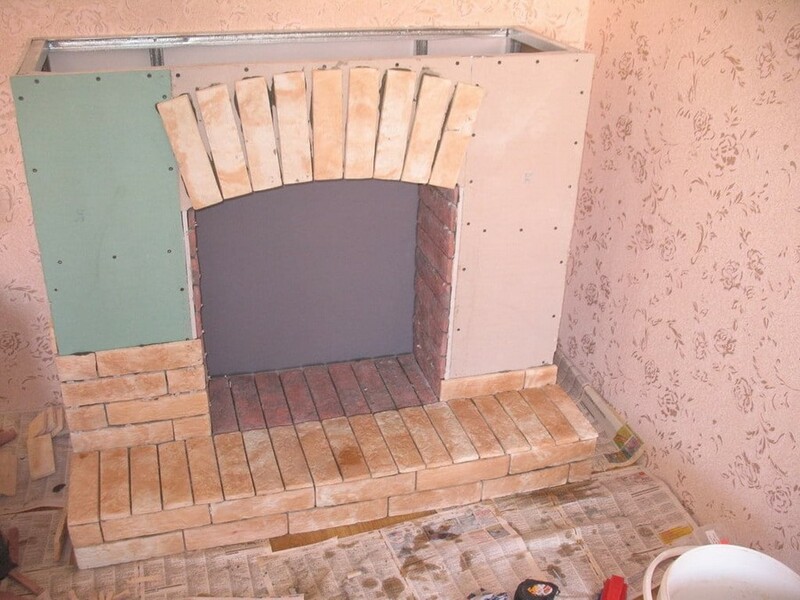 There are loads of materials for making faux fireplaces, but the most popular among them is sheetrock, plywood, polystyrene, cardboard, chipboard, wood, masonry, polyurethane. Also, you may surely cast it in concrete or print on a 3D printer. But the most affordable, flexible and easy-to-process of them is surely plasterboard. 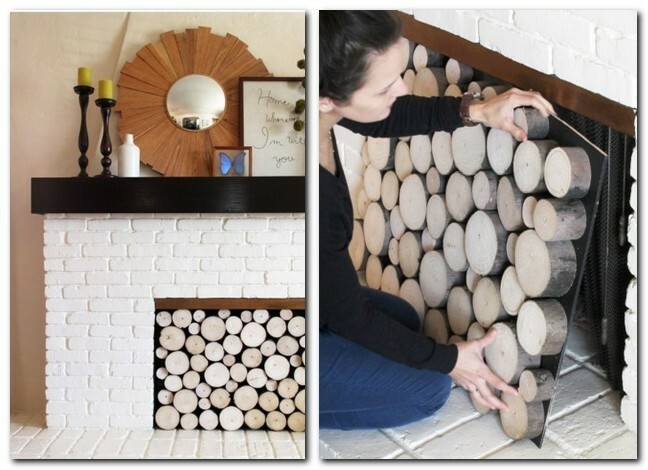 Creating a faux fireplace with your own hands would also be no problem: considering availability of versatile materials and DIY instructions in the Internet you may easily create your own one-of-a-kind fire. Here you’ll be free to choose any beloved effect, including clear textures of materials, patina or aged-effect. 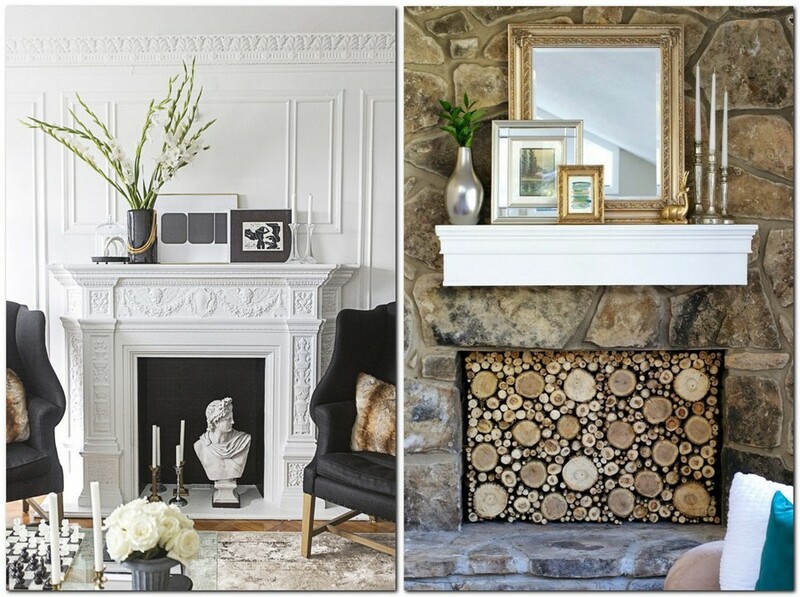 When it comes to the decoration of a faux fireplace, you also have plenty of options. 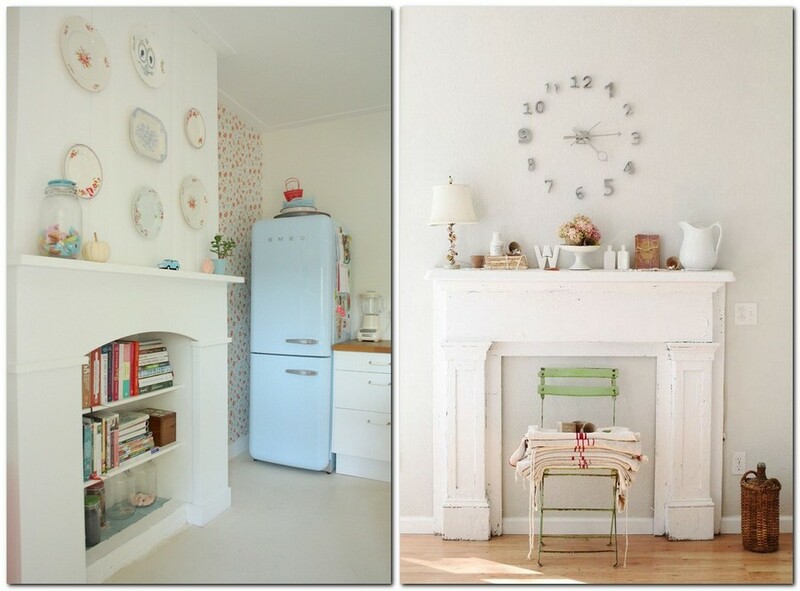 You can paint it in a contrasting or very eye-catchy bright color, dress it up with mirror pieces or bits of broken tiles. 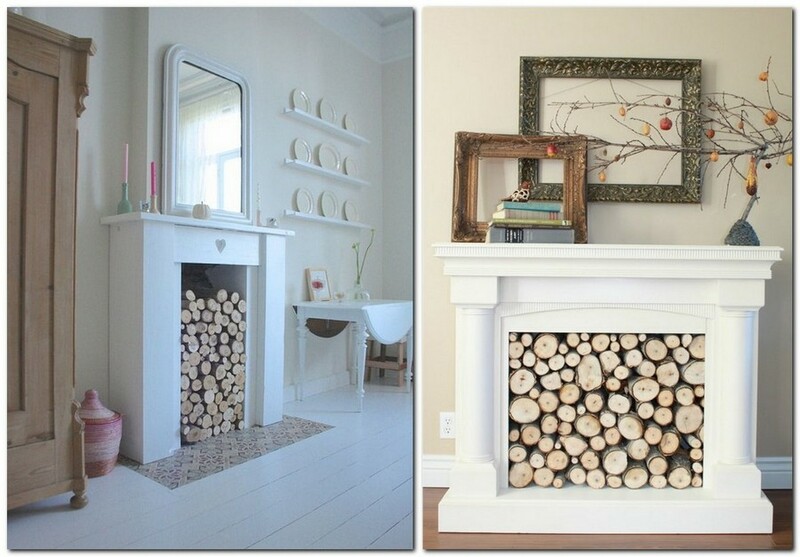 One of the trendiest ideas given that eco-style is today’s top trend № 1 is to decorate a faux fireplace with wood cross-sections or tree branches, which make it look like a genuine log fire. 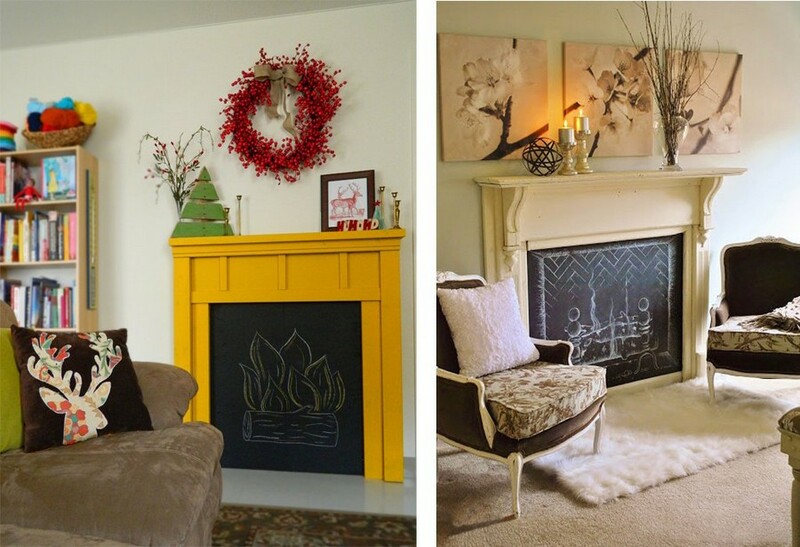 Or you may coat the interior of your makeshift fireplace with chalkboard paint and create a new plot every day. 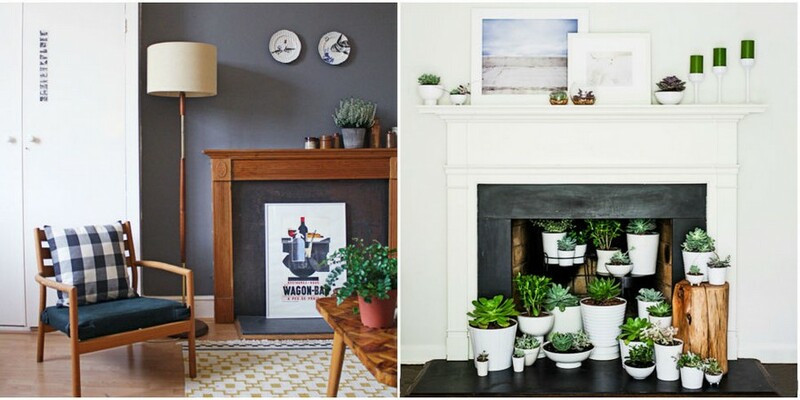 And of course, nothing keeps you from raising a faux fireplace above the floor: you may put a console underneath and turn your hand-made fireplace recess in a TV-set rack or a shelf for candles. 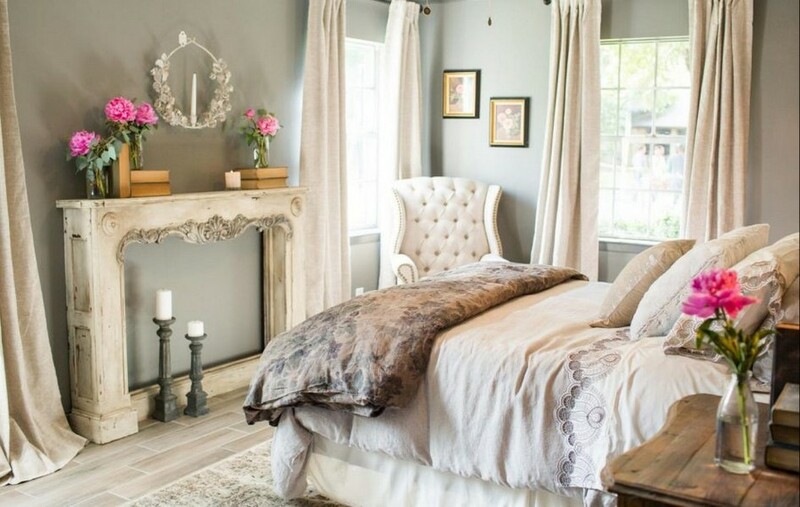 Let’s not forget that a faux fireplace can be not just a piece of décor, but also a full-fledged functional element of interior. 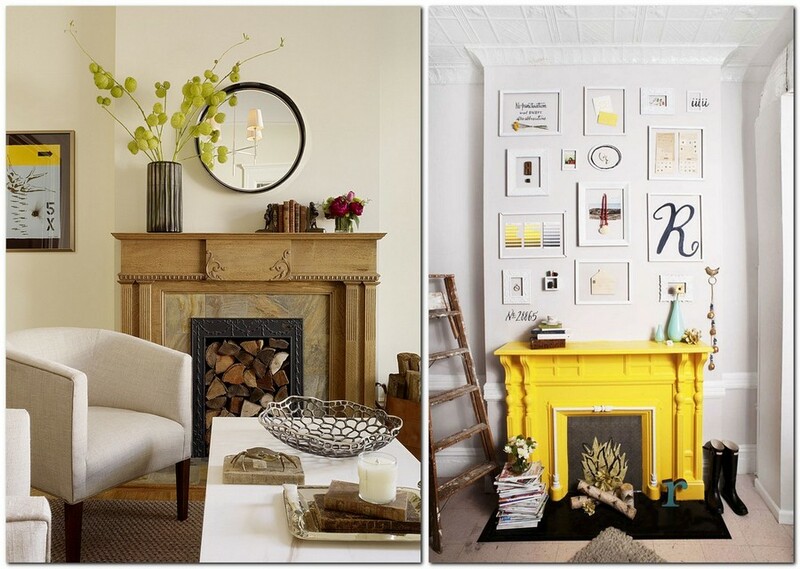 The most logical solution is to adapt it as a shelf for displaying book piles, mirrors or photo frames. 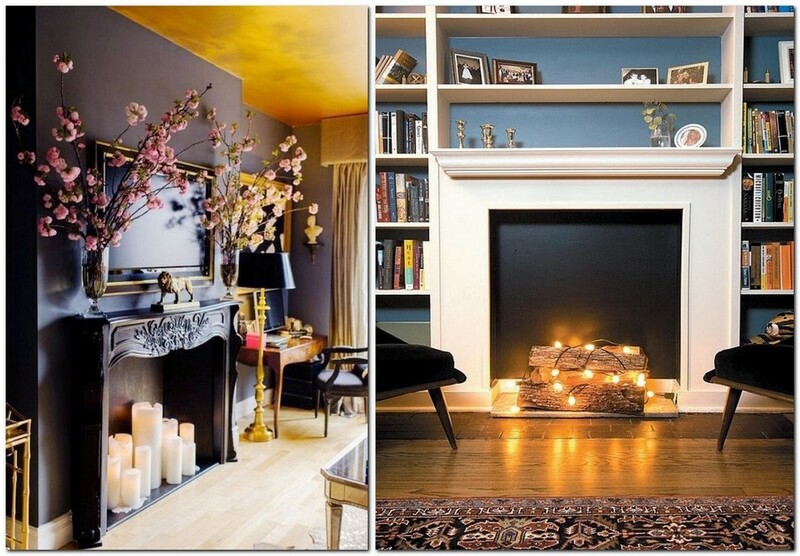 A faux fireplace can also become a source of romantic lighting with a few candles and a mirrored recess. 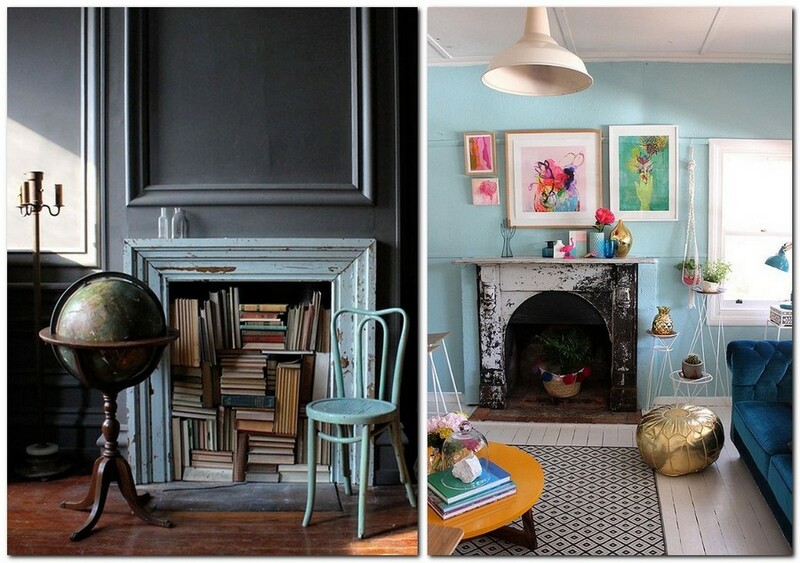 And option number three is to turn a fireplace into a storage system – a recess for keeping books and accessories.